In 1999, Dr. Agostino Sapienza donated six textile machines that had belonged to his family for generations to the city of Catania. 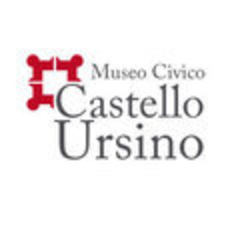 At first, they were exhibited in the Biscari palace, and were brought to the Ursino castle in 2004. You can observe them in the large hall called "open space" in the museum's second floor. These machines were produced in the second half of the 19th century in Lyon by the company Girard. They were acquired by Rosario Sapienza, Catanese entrepreneur of the textile field and great-grand-father of our donator. Maybe he fell in love as soon as he saw them? Imagine the emotion he felt at the idea of founding his own textile factory! During the 19th century, the city of Catania underwent a rapid population growth and became an adequate place for commercial and industrial activities. It was in this general ambience of growth that Rosario Sapienza's factory and entrepreneurial activity developed and that he produced yarn of excellence in vegetal and animal fibers. The last owner of the company, born in 1903 with the name of Rosario Sapienza, was the father of our donator - and as you might have noted, he had the same name as the founder. His biography tells us that during the wartime crisis of the First World War (1914-18), the Catanese entrepreneur became richer as he started to produce strings of shoes for the troops. However, this wealth did not last long because he was convinced that his products were better than the ones produced with new industrial machines. The fact that he did not want to innovate and renew his products indeed decreed the end of his business. Today, the story of this family of entrepreneurs continues to be told, here in this museum, by these suggestive and evocative pieces preserved for us all. Text written by Giulia Bella and Ines Rizzotti, students of the 3LF class of the Liceo Lombardo Radice, under the supervision of Prof. A. Bertino. Photo by Maria Puglisi. Translation by Lily-Cannelle Mathieu, art history intern from McGill University (Montreal, Canada).